It’s a busy day downtown Milwaukee, between opening day of Summerfest and a presidential visit. People who work downtown are not looking forward to their drive home. “It’s just going to be a complete nightmare. Summerfest you know it’s coming, but I just found out about the President this morning and I’m like what the heck,” said Kristin Walters, works downtown. “I’m very nervous to leave with all of the traffic of Summerfest and the Big Bang tonight so it should be interesting,” said Erin Donovan, works downtown. 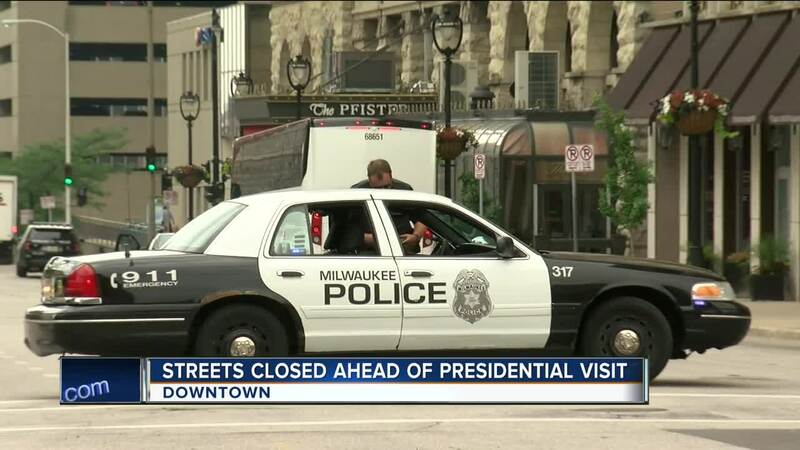 Police closed several streets around the Pfister, where President Trump is staying Wednesday night. 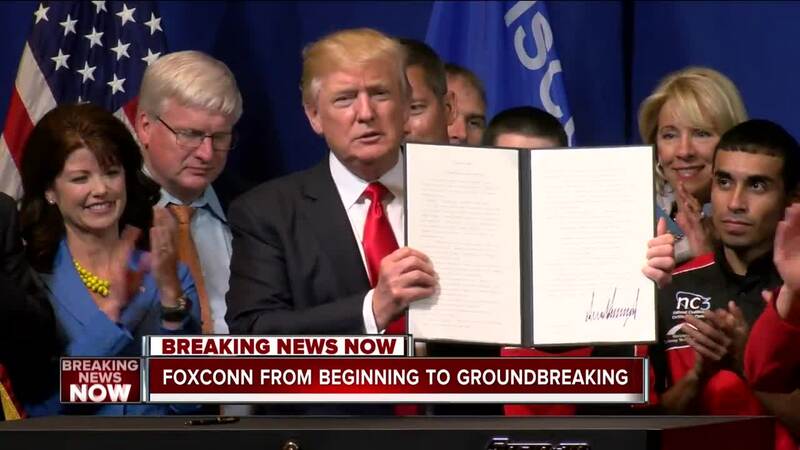 He has a fundraiser Thursday morning before heading to Racine County for the Foxconn groundbreaking. 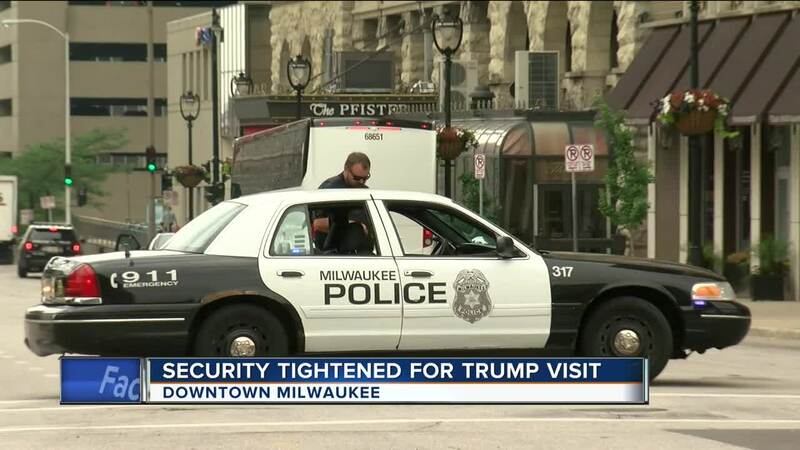 Milwaukee Police are asking for your patience. “It will be a challenge to get people in and out of the downtown area,” said Sgt. Joseph Honzelka, Milwaukee Police. 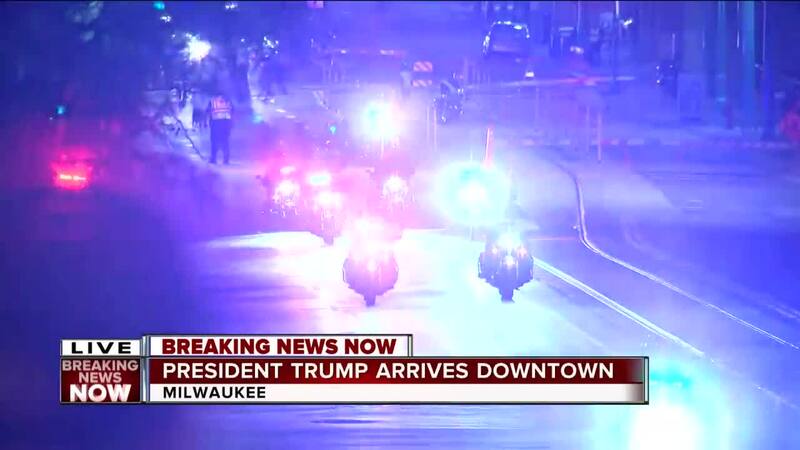 Milwaukee Police will close portions of Wisconsin Avenue and Jefferson Street most of the night. There will be rolling closures lasting 5 to 10 minutes when the President arrives. “We would ask people if they’re going to come to the fireworks to try and either again use mass transit or to come from the north try not to come directly through the downtown corridors that people would normally go,” said Sgt. Honzelka. Law enforcement will re-route many shuttles and busses. Some stops are closed, but Police still say public transportation is better than driving tonight. “It may take a little longer than usual, but that’s all part of the experience,” said Honzelka. “It’s definitely exciting, but it’s chaos hopefully it’s organized chaos,” said Erin Donovan. The city said streets could be closed until 4 p.m. Thursday.